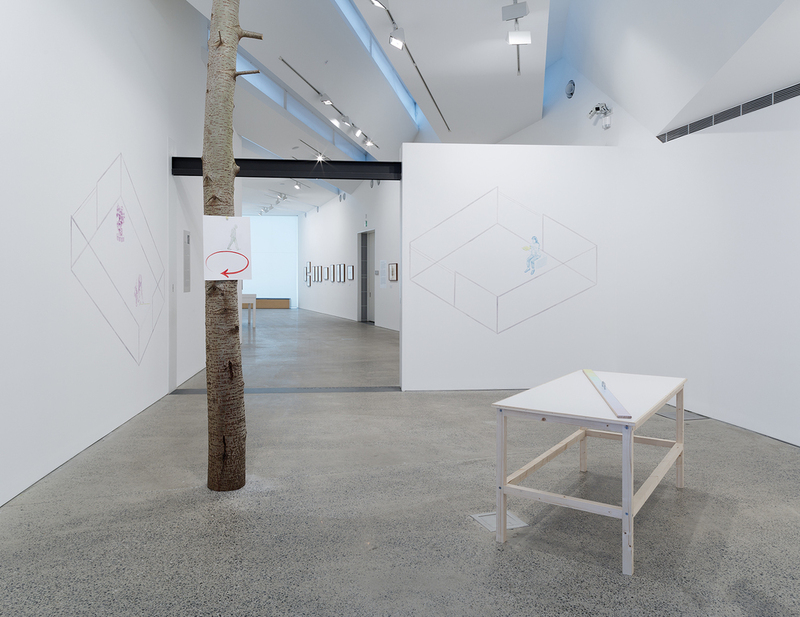 Andrew McQualter’s drawings, installations and collaborative projects are concerned with making the connection between things visible. He is interested in the act of conversation as a metaphor for the relationships that we create and maintain with each other, our culture, our institutions and history. McQualter’s work is included in the collections of the National Gallery of Victoria, University of Melbourne and the Museum of Contemporary Art in Sydney, he shows regularly in museums, public galleries and artist-run spaces. He was born in Newcastle, N.S.W. and has lived and worked in Melbourne since 1991. 2005 Studies for the shape of government, Newcastle Region Art Gallery, N.S.W. 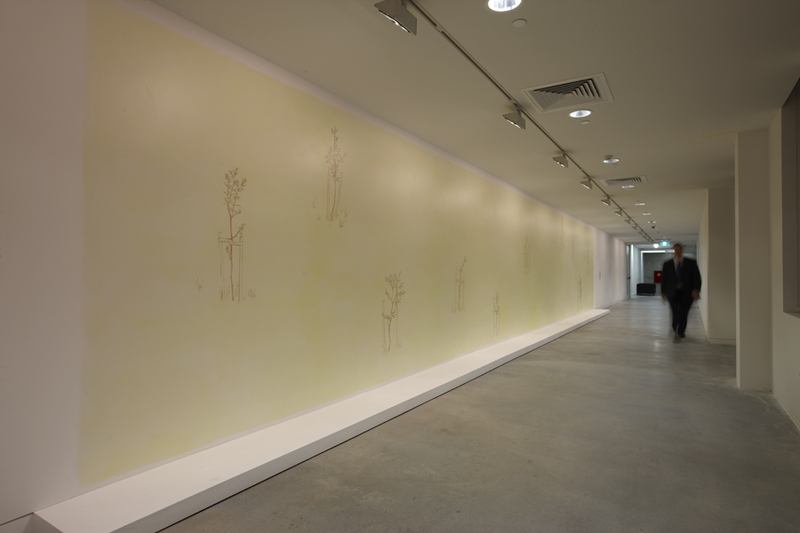 2005 Stalking horses, Scott Donovan Gallery, Sydney, N.S.W. 2003 Study for metaphysics, Scott Donovan Gallery, Sydney, N.S.W. 2001 What we do here, Gallery 4a, Asia Australia Arts Centre, Sydney, N.S.W. 2012 Rule, D. ‘Andrew McQualter: A partial index’, The Age, February 4, 2012. 2010 Douglas, A. Since we last spoke (ex. cat.) 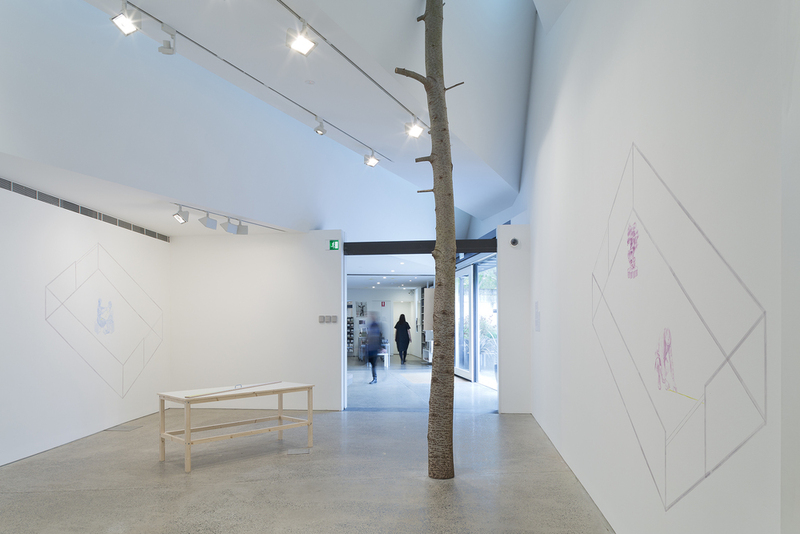 Margaret Lawrence Gallery, Faculty of the VCA and Music, The University of Melbourne, 2010. 2006 van Zuijlen, D., Lodewijks, B. & Gremmen, H. (Eds.) ‘3 Large Drawings’ in Book Hotel Maria Hotel Mariakapel (Hoorn, N.L. ), 2006. 2005 Day, C. (Ed.) A short ride in a fast machine – Gertrude Contemporary Art Spaces 1985 – 2005 Gertrude Contemporary Art Spaces Inc., 2005. 2005 Delaney, M. (Ed.) Pitch Your Own Tent: Art Projects| Store 5| 1st Floor Monash University Museum of Art, 2005. 2005 Duncan, J. Wall Power (ex cat.) Art Gallery of West Australia, 2005. 2005 ‘Andrew McQualter’ in Make it Modern (ex. cat) Australian Centre for Contemporary Art, 2005. 2005 Juers, E. ON DRAWING: The Grey Voice Tin Sheds Gallery, University of Sydney, 2005. 2005 Snell, T. ‘Work becomes the gallery’, The Australian, September 8 2005. 2003 Engberg, J. NEW03 (ex. cat.) Australian Centre for Contemporary Art, 2003. 2003 Bell, A. Fraught Tales: Four Contemporary Narratives (ex. cat) National Gallery of Victoria, 2003. 2003 Magner, B. ‘Parable’ in NEW 03 (ex. cat.) Australian Centre for Contemporary Art. 2003. 2003 Travis, L. ‘Pier and Ocean’ in See here now: The Vizard Foundation Art Collection of the 1990’s Thames and Hudson (Melbourne), 2003. 2001 Comte, S. Travels in Time (ex. cat.) Gertrude Contemporary Art Spaces, Inc., 2001. 2000 ‘Sign of the Times’ in Good Thinking, 1st Floor Artists’ and Writers’ Space Inc, Melbourne, 2000. 1999 Kent, R. ‘Future Imperfect’ in Primavera 1999 (ex. cat.) Museum of Contemporary Art Sydney, 1999. 1998 Palmer, D. Art for a future generation (ex. cat.) Gertrude Contemporary Art Spaces, Inc., 1998. 1998 Stanhope, Z. graphic (ex. cat.) Monash University Museum of Art, 1998. 1997 Kiley, D. BAD GAY ART (ex. cat.) Sydney Gay and Lesbian Mardi Gras, 1997. 2011 Australia Council VACB Studio Residency, Static Studios, Liverpool U.K.
2000 Federation Residency Program, Castlemaine. 2003-2007 Coordinator, Clubs Feedback. Clubs Feedback is a service for cultural practitioners that provides structured and impartial critical response to a presented work. Artists, writers, performers or curators were able to request feedback by approaching the coordinators, who then assemble a group of peers and experts to provide feedback. 1997-2002 Founding Member, rubik Artists’ Project. rubik was formed by Andrew McQualter, James Lynch, Julia Gorman and Ricky Swallow as a publishing project. 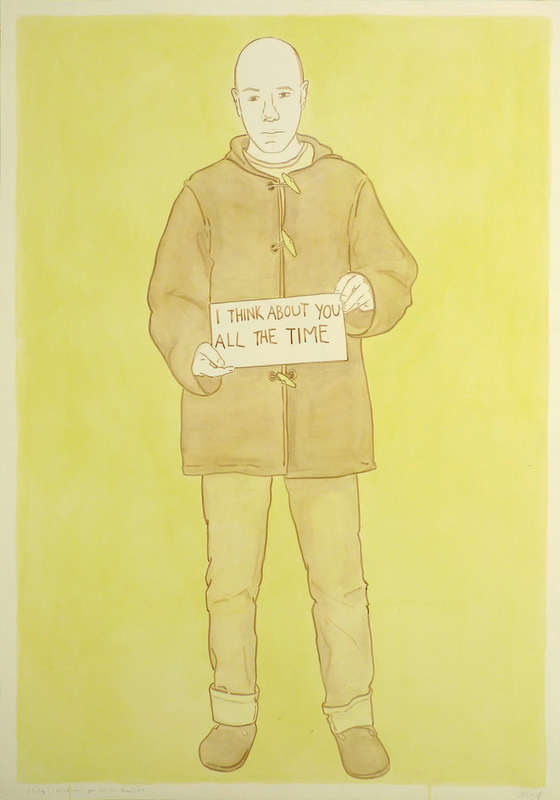 rubik produced low-cost publications of artists’ drawings, video compilations, postal projects and exhibitions in a variety of different venues, including the members’ homes, public galleries and artist-run spaces. 1996-1997 Textbase – writers working in the gallery. 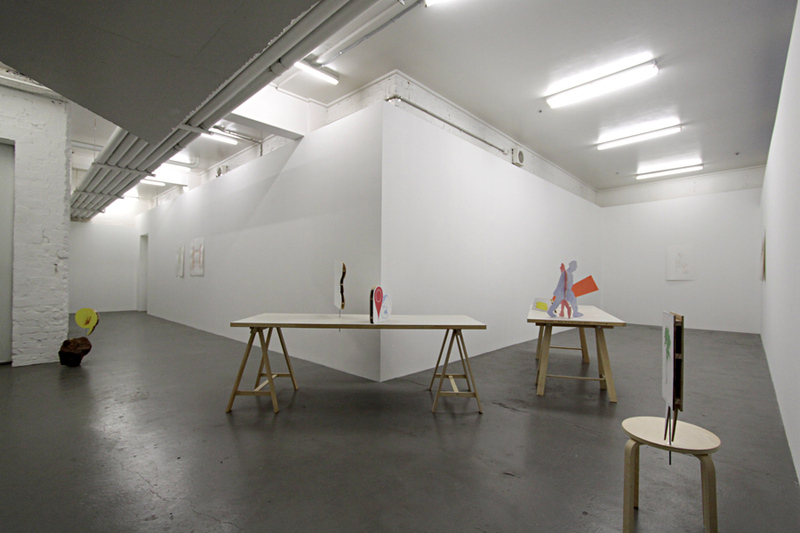 An independent group of art-writers affiliated with 1st Floor Artists’ and Writers’ Space. 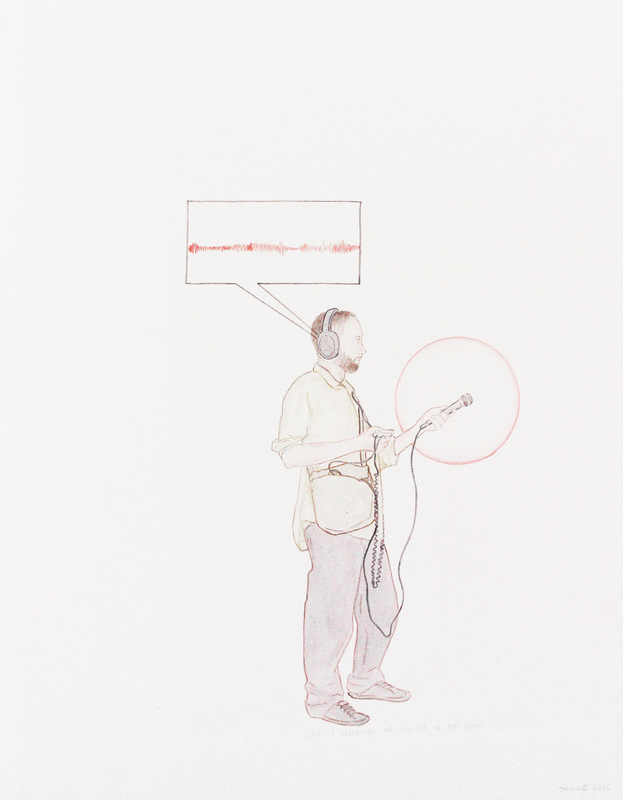 Between 1994 and 2000, Andrew McQualter was active as a writer on the visual arts, producing criticism and commentary for various arts based publications in Australia and New Zealand and writing catalogue essays for exhibitions. His most recent published writing is in the catalogue for the exhibition Time and time again by Mira Gojak, published by ClubsProject Inc. in 2006. His critical writing can be found in Globe-E Journal (Monash University), Like, Art Magazine (RMIT University), and Log Illustrated (The Physics Room, NZ).